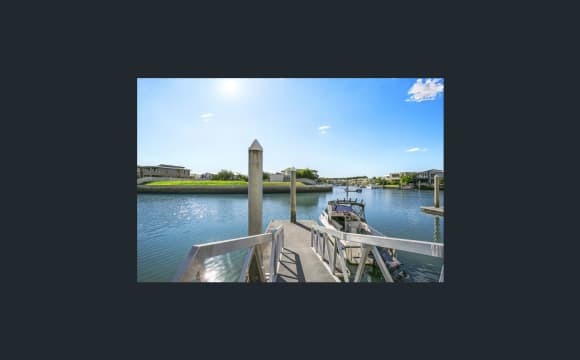 Great location being the broadwater at the end of the st , with a.c. through out. 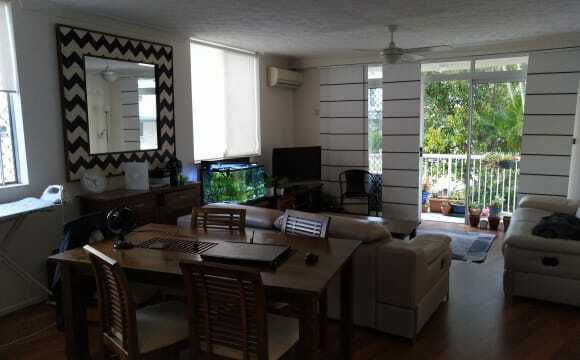 THIS PROPERTY IS AVAILABLE FURNISHED FOR SHORT TERM RENTAL. POSITION! POSITION! POSITION! 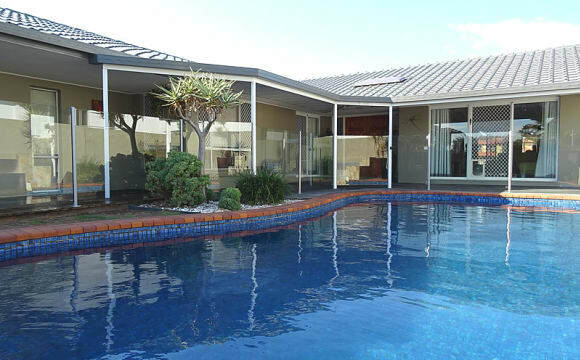 AMAZING BROADWATER VIEWS - OPPOSITE BEACH. 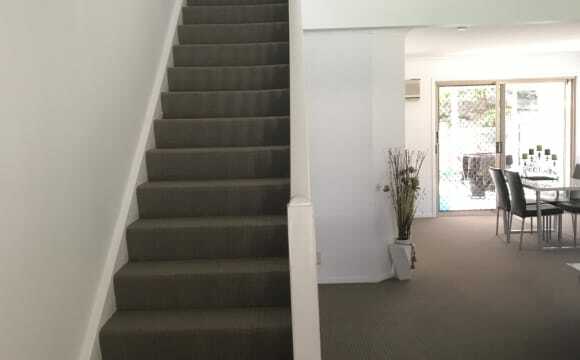 Description: THIS PROPERTY IS NEWLY PAINTED AND BRAND NEW CARPET AND BLINDS. PLEASE NOTE THIS PROPERTY IS OFFERED FURNISHED FOR SHORT TERM RENTAL BY THE WEEK. This prestigious property is a 2 storey 4 bedroom approx. 45 square villa home, fully fenced and security gated, with your own private tropical swimming pool, BBQ area and entertaining area across the road from the beach. The property backs on to the canal and you have an option to rent the jetty. 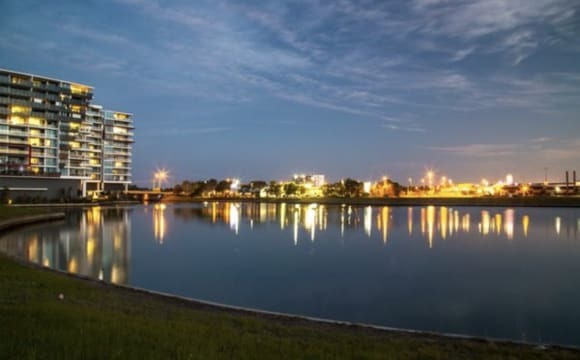 You can also enjoy fishing from this jetty - as well as from the Broadwater ("Shearwater Esplanade" one of the Gold Coast's most prized fishing spots!). Mooring for average size boat at a fee. Downstairs consists of a formal entry, three large bedrooms (one with walk-in robe and two bedrooms with built-ins), all rooms with air-conditioning, large ultra modern bathroom + extra shower in laundry. 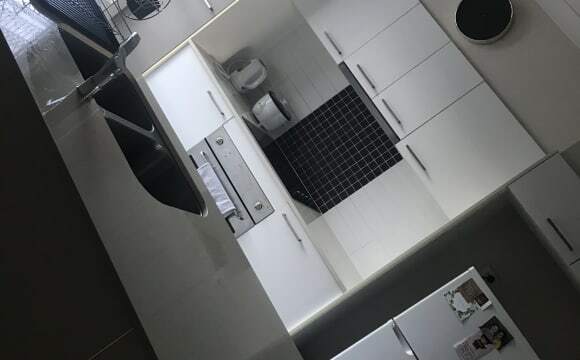 Upstairs consists of huge modern kitchen with granite top benches, stainless steel appliances including fridge, microwave, dishwasher, gas cooker &amp; heaps of cupboard space. Huge floating timber floor combined lounge and dining room leading out to timber deck with straight through views over the Broadwater, master bedroom with extra long walk-in robe, ensuite with shower, spa, his and hers basins and extra bench and mirror space. Laundry has double bowl sink plus built in ironing board. 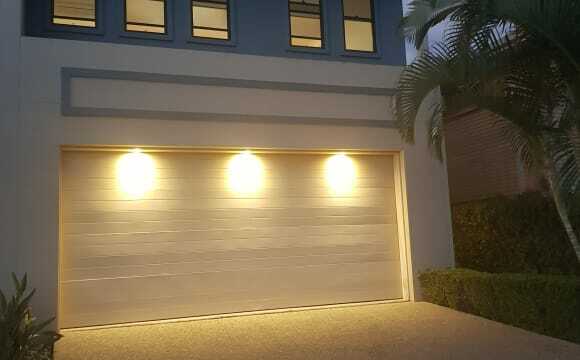 Double auto lockup garage with internal access. Available for long term rental. 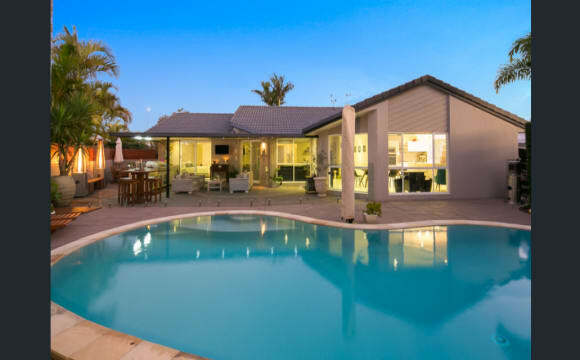 The Neighbourhood:- This stunning property is located within walking distance of St. Francis Xavier Catholic School, Runaway Bay Shopping Village (Aldi, Woolworths and Coles Supermarkets, Target, Big W, liquor barns, etc), and a selection of Restaurants, Cafes, Clubs, Pubs and Bars. Only a five minute drive to Harbourtown Factory Outlet Shopping Centre will provide you with that bargain shopping experience. Main Beach, Surfers Paradise and Sea World are only a 15-20 minute drive south and Movie World, Dreamworld and Wet n Wild are only a 15 minute drive north. 4 bedroom, 3 Bathroom 2 story house. There are currently 3 people in house (1 couple and 1 female) couple is heading overseas for 6 months so you will only have one other roommate for 6 months. Lots of space. Two story house on the water in runaway bay. Bedroom has 2 sliding mirrored cupboard and is a large room with water views. 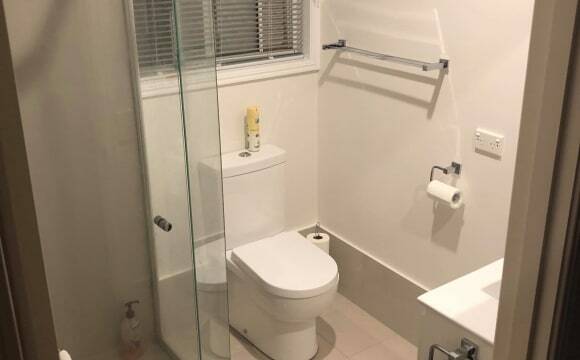 Bathroom is on the first story and your bedroom would be on the second floor but it's your own bathroom and not shared. 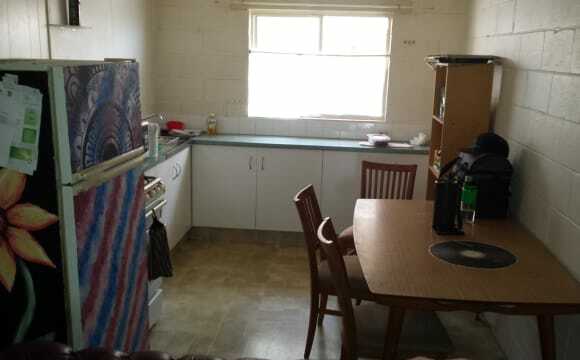 Large kitchen, lots of cupboard space &amp; storage cupboards, house is fully furnished. The house is on a island fronting the canal in Runaway Bay. We have great outdoor living areas both front and rear. The house is very spacious inside. A great pool and BBQ area makes relaxing fun. We are central on the Gold Coast, with Harbour Town and Runaway Bay shopping centre close by. Multiple bus routes are in easy walking distance. The M1 motorway is easily accessible, with the university and hospital being a short distance away. The house is modern, all updated interior and exterior, light and airy. Choice of three bedrooms. The bedrooms are large enough for a king size bed, have double built-in wardrobes, with two looking out to the swimming pool and two adjacent to the large bathroom with a shower and bath and an adjacent w/c. Off street and undercover parking is available. Available 23rd April. 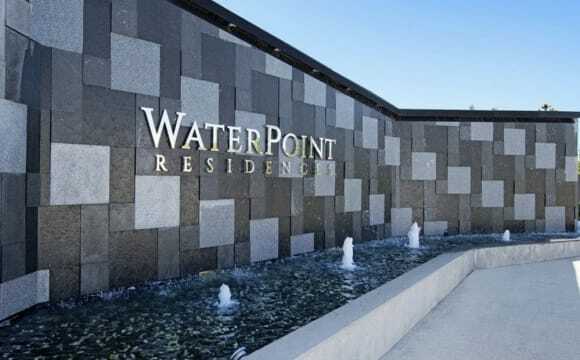 A modern 2 bedroom unit at the top level of a great secure complex. There is a pool, BBQ, visitor parking, public transport right at the main entrance, and cafe downstairs. Key features - Air conditioning in living room - Ceiling fans in bedrooms - Balcony - Internet (all bills split in half, water included in rent) - Dishwasher - Fully furnished (bring your own bedroom furniture) - Quiet You will have the 2nd bedroom, with own separate bathroom. 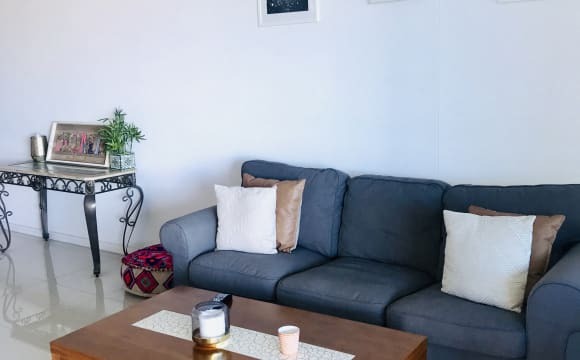 I like to keep the place very clean and tidy, and it has a fairly minimal style. I dont plan to add anymore decor. Ideally you'll be a female, full time worker, not into partying, keeps up cleaning, and is respectful. No pets and non smoking. There is on-street parking available. My housemate is sadly moving back to South Australia. Any questions please ask! 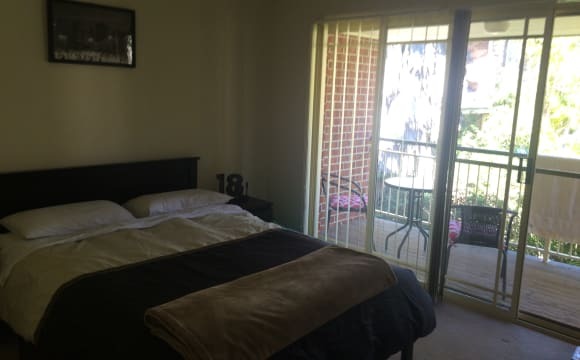 Main bedroom for rent , house situated close to Griffith University and in walking distance (approx. 20-25 mins) to Harbour Town shopping centre. Bus stops within minutes of the house and on-street parking (no time limitations etc) if you have a car. The room has air conditioning, unlimited internet, ensuite, walk in robe and all bills (power, water etc) included in the rent price. It's very quiet complex with respectful neighbours. There is complex parking with outside security cameras running 24/7 . Or garage space for a motorbike . The house is occupied by myself and one other. It's 4 bedroom, we like tidy but liveable environments . Smoking is only permitted outside In the courtyard . Netflix, water and electricity can be incorporated into the rent. There is a shared garage for a small car. 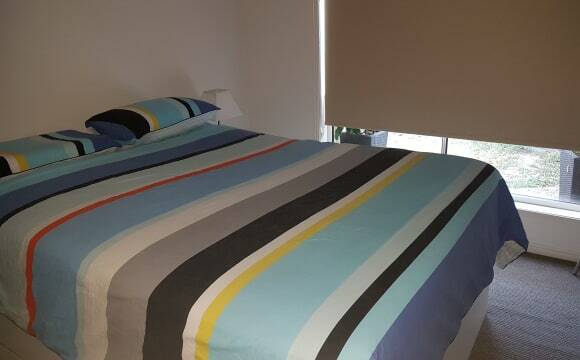 Walking distance to shops and cafes across the road. Easy bike ride to the beach. Kayaking and stand-up paddleboarding available if you are so inclined. 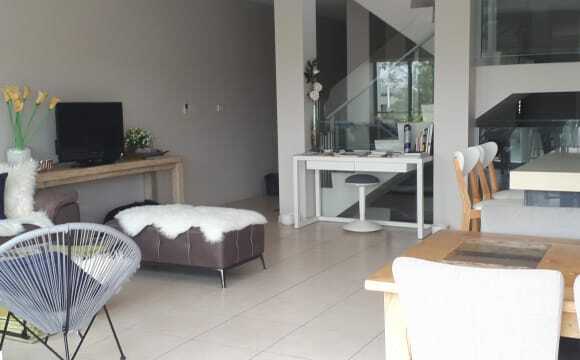 The house is on the canal with a great view from the bedroom(photo) the room is fully furnished, king sized bed with walk in closet and en suite bathroom. (plenty of space for a sofa/desk/TV). There is a large pool, sun deck and patio with outdoor entertainment area. There is a huge kitchen, gym/yoga area and lounge. It’s a peaceful atmosphere great for yoga and meditation. I keep a room spare in case any of us has overnight guests. There is 1 other flat mate, a radiographer in her 20s. We ensure the house is clean and a happy friendly environment. Rent is $280 per week including Internet, water and netflix. I have a furnished room in a Penthouse apartment. You will have your own bathroom and toilet, own private balcony and share all other areas. Must be Non Smoker. Views of the canal and ocean close to shops and beach. Pool and spa on property. Private undercover parking. The townhouse complex is quiet, the other residents are friendly with a mixture of ages. We have a cabana area with a beautiful swimming pool, bbq &amp; tennis court. The townhouse is quite spacious with a backyard, ceiling fans in all rooms. 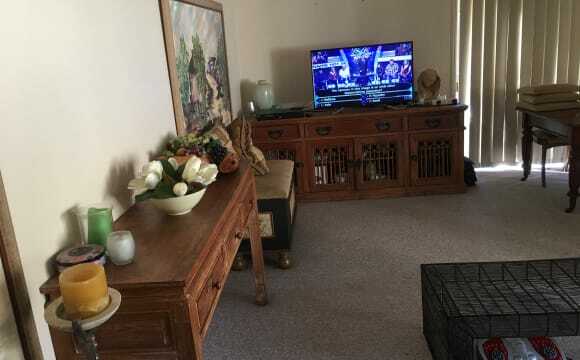 House is air conditioned has foxtel Nice outdoor patio area. Near great outdoor bush walking pathways. 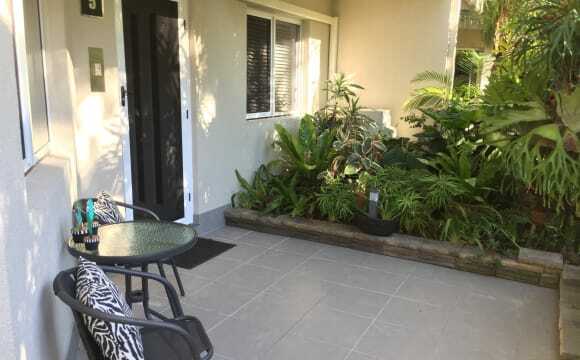 Coombabah/Runaway Bay, close to Runaway Bay Mall. 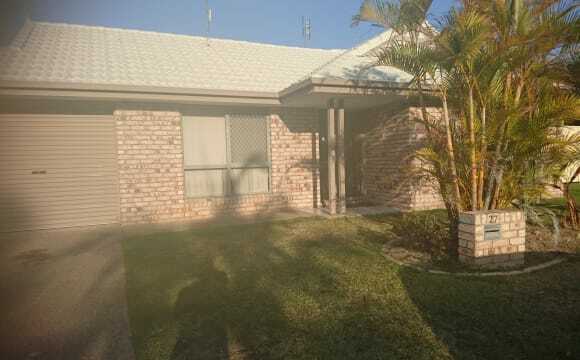 Close to bus to Harbourtown, Griffith, GCUH, Southport. 2 bathrooms, lovely kitchen with extra refrigeration, internet, power, water all included. Lovely outdoor space. Back Garden. Rooms available immediately. All rooms fully furnished. Plenty of parking. 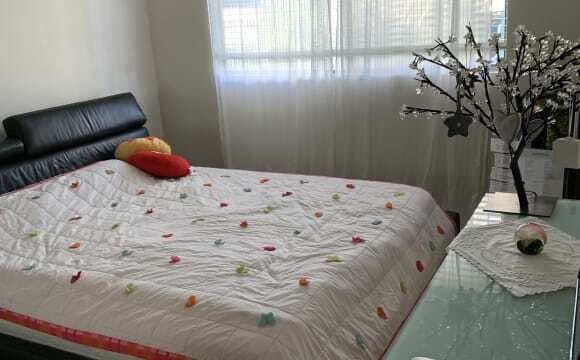 Single rooms, $160/12 months, $165/6 months and $140/12 months, $145/6 months. Shorter term - plus $20-50/week . Good housemates, Call/text to view. Privacy, lots of space, a pool, good neighbours, close to bus stop and Harbourtown and very affordable. 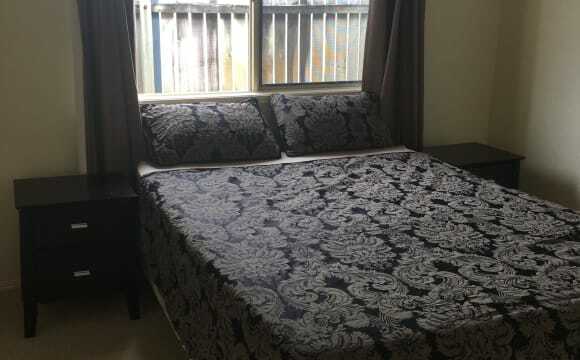 Double bedroom with own bathroom, available now. Apartment has 2 bedrooms and 2 bathrooms and is very spacious. Nice views of the canal from your room and the balcony. You can literally fish from the balcony. Fully furnished, high-speed internet, has everything which you will need. The villa is amazing, big, modern, spacious and clean. Pool and jetty on the water. Air conditioning in all rooms and entire house. amazing views all day, internet is available and we have a TV downstairs for all to use. 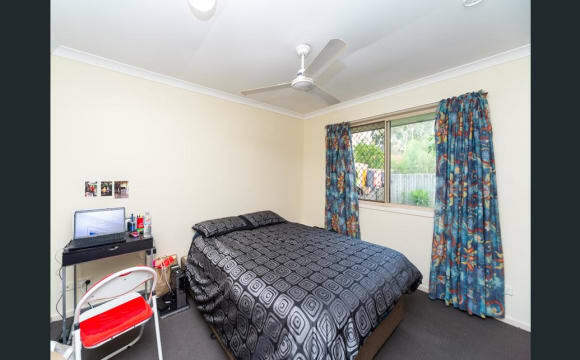 Large room available (not a single room) with ceiling fan. Can be furnished for 230 p/w or unfurnished for 200 p/w with all bills included. You will be sharing with myself and another 30 year old female, both work full time, you will be sharing the main bathroom with her. The house itself is very large and spacious, modern appliances and furnishings, gym in the garage, large pool, undercover outdoor bbq area, has great privacy, is very secure, fenced with two gated driveways, you will share one of the gated driveways and will have your own off street parking space and shared seperate entrance. 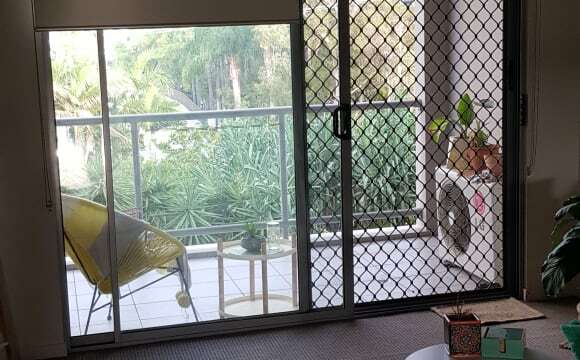 It’s in a very quiet area, very close to runaway bay shopping centre, paradise point cafe's and diners, local gyms and sporting facilities, parks, dog park and the broadwater. 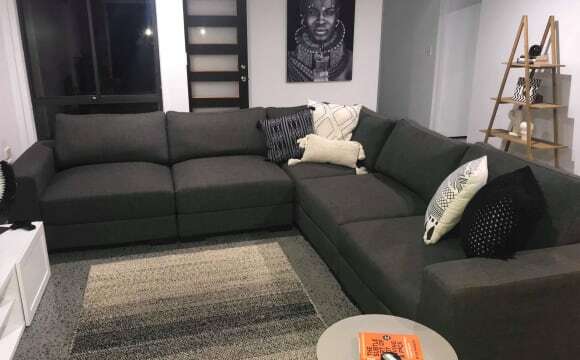 Different furniture with a different layout has been added since taking those pics too.